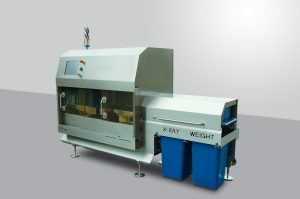 Hera is a “loss-in-weight” depositor. 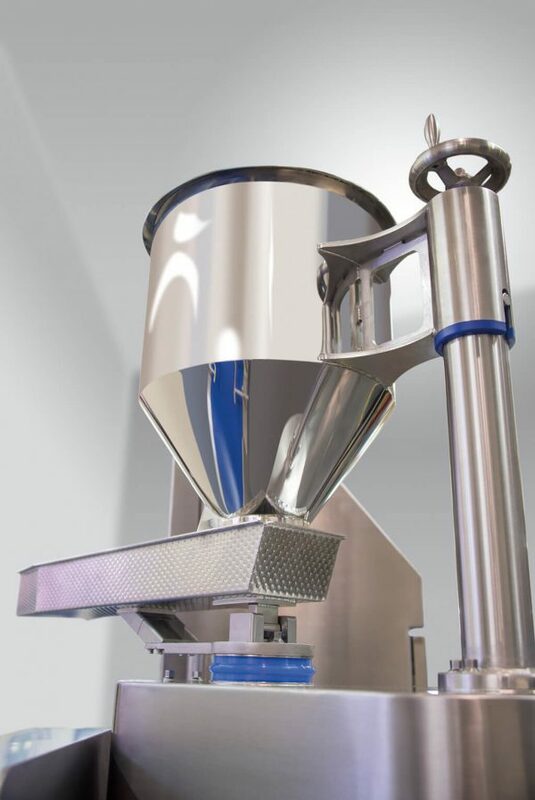 It is used to sprinkle free-flowing materials (powders, grains, nuts, peas, frozen vegetables etc), by weight, into or onto conveyorised products. 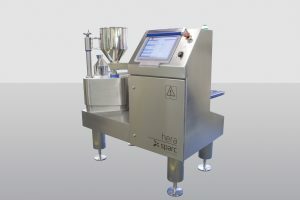 Hera can also be employed as a “salt and cure” depositor for dry cured bacon systems and multiple Hera machines can be joined together to create a semi-automatic dosing system. 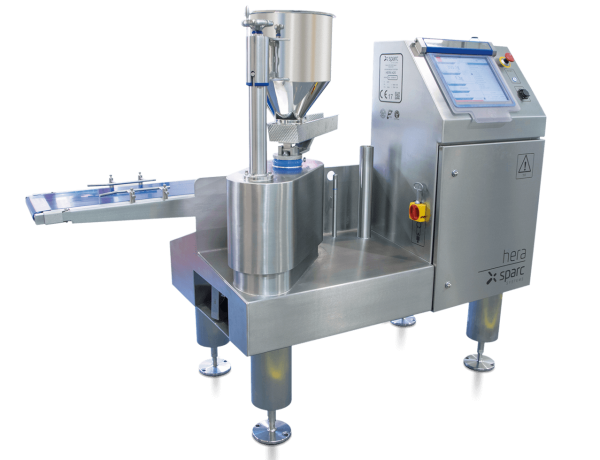 When used as a simple depositor to dispense a predetermined weight, Hera reduces the amount of giveaway compared to manual presentation. Deposit weights and variance can be automatically recorded and individual or batch weight data presented to the customer’s database. 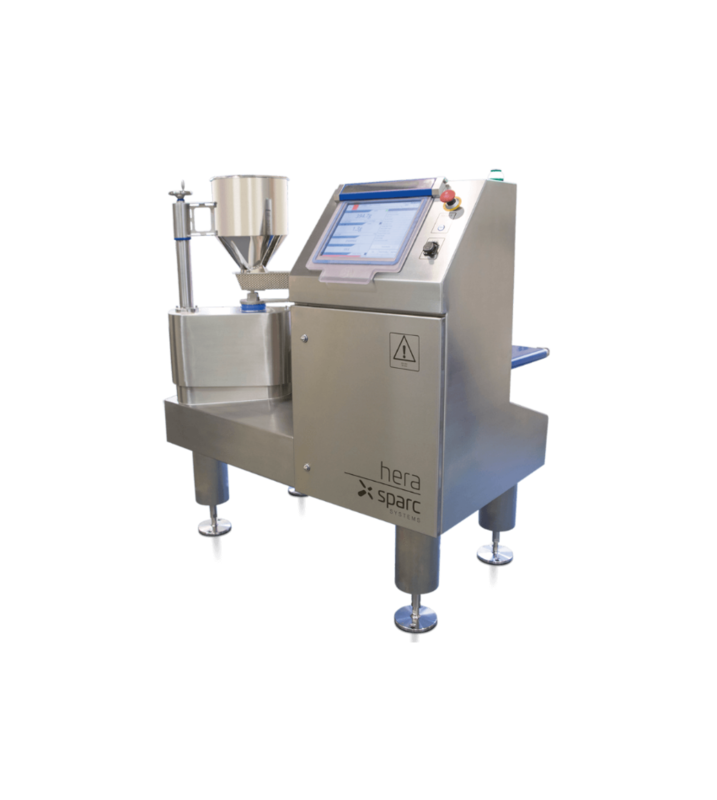 Hera’s accurate deposits ensure that the finished product has a consistent specification, taste and appearance. 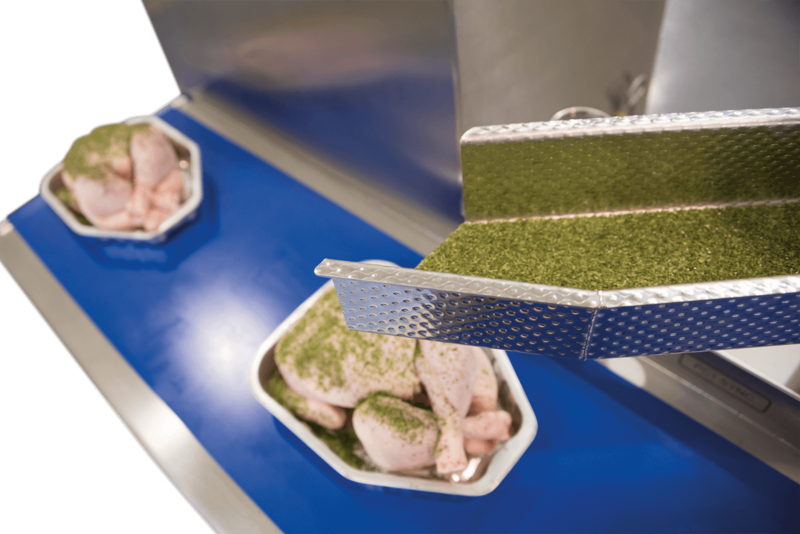 The accuracy of the deposit reduces the amount of overspill.